Over a year ago, Apple fan and artist, Kurt Merki Jr., dreamed up a concept desktop that incorporates features of the iMac, the Mac Pro, and the Apple Thunderbolt Display. I've never forgotten the mock-up — and I still long for an iMac based on the concept. 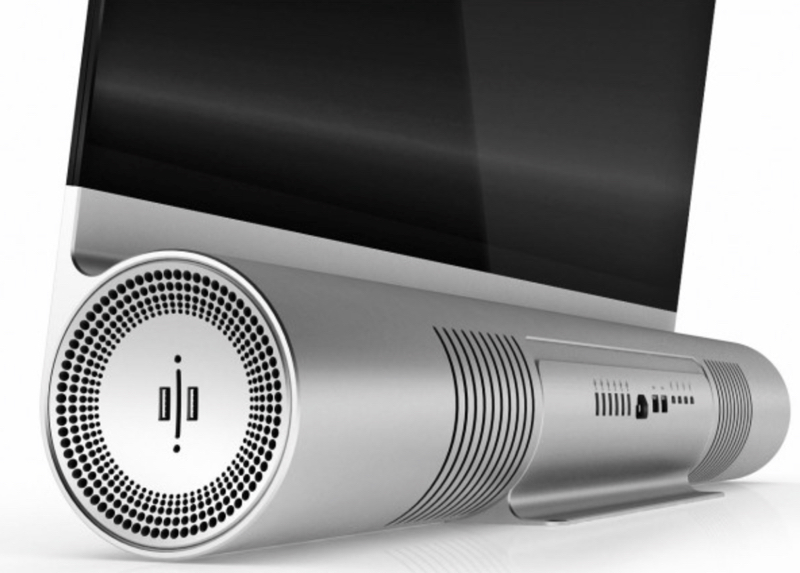 Merki's "iPro" sports a 35-inch OLED display with almost 4K resolution (3382 x 1964) that rests on a unibody base capable of incorporating two new Mac Pro models, as well as additional components including up to four extra hard drives, a ventilation system and a drool-worthy sound system. The iPro also has a variety of connectivity options, including four Thunderbolt ports and eight USB 3.0 ports. A tilt button in the front lets users move the display 20 degrees back and forth for optimal viewing angles, and makes sure the desktop doesn’t tip over. The "iPro" measures 800 x 600 x 150 mm, with the base having a 120mm diameter. While I'd love to have a 35-inch iMac (or even a "mere"30-incher) with a Retina display, that's not going to happen. So let's take the "iPro" concept and scale it down to a 27-inch model. That sounds feasible. Another feature I really like about Merki's iPro concept is the 10x stereo, front-facing speakers. In other words, a Mac with a built-in sound bar. I love that idea and think it fits in perfectly with Apple's design aesthetics. After all, this would eliminate the need for external speakers — especially if you could attach a subwoofer that sits on the floor. Or, better yet, give us a wireless subwoofer. To complete my iPro/iMac — and this is my wish, not part of Merki's concept — I'd add a built-in TV tuner. 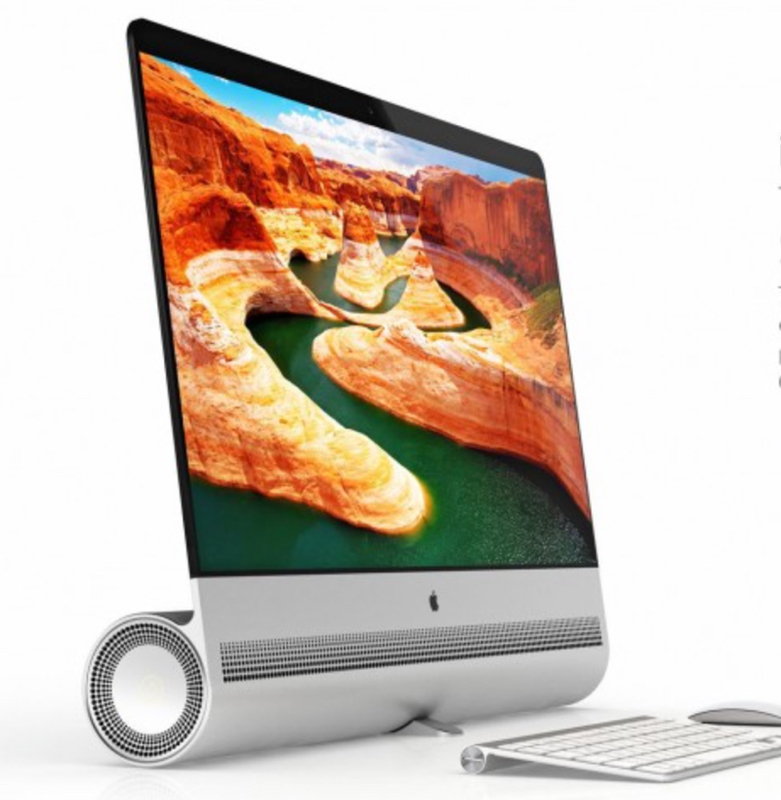 With all these features, we would finally have the ultimate iMac. I might not be able to afford it, but I'd start saving my money. Kudos to Merki for such a great mock-up. Now, c'mon, Apple, let's get on it.